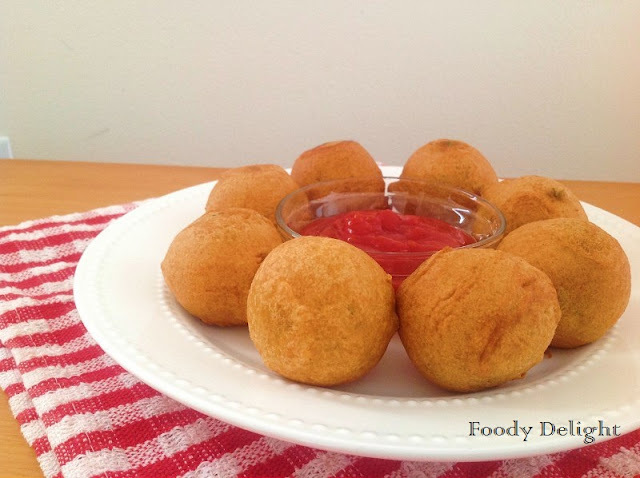 Aloo Bonda is one of the most popular snack served in various functions, parties etc. This brings back the memories of our school and colleges, where we use to enjoy this all time favourite snack with our friends .Aloo bonda is also known as Batata vada in mumbai.Aloo bonda is a typical Indian snack.It is a deep fried savoury snack stuffed with spicy potato spices mixture.Aloo bonda is crispy outside and soft inside.It is best served with tomato ketchup or green chutney. Heat oil in the pan, add mustard seeds, cumin seeds, asafoetida, curry leavesa nd tumeric powder.Saute it for 1 minute. Then add chopped ginger and chopped green chillies.Fry for 1 minute. Then add chopped onion and fry till onion are light golden in colour. For the batter, combine besan flour, baking soda, red chilly powder and salt into one wide bowl. 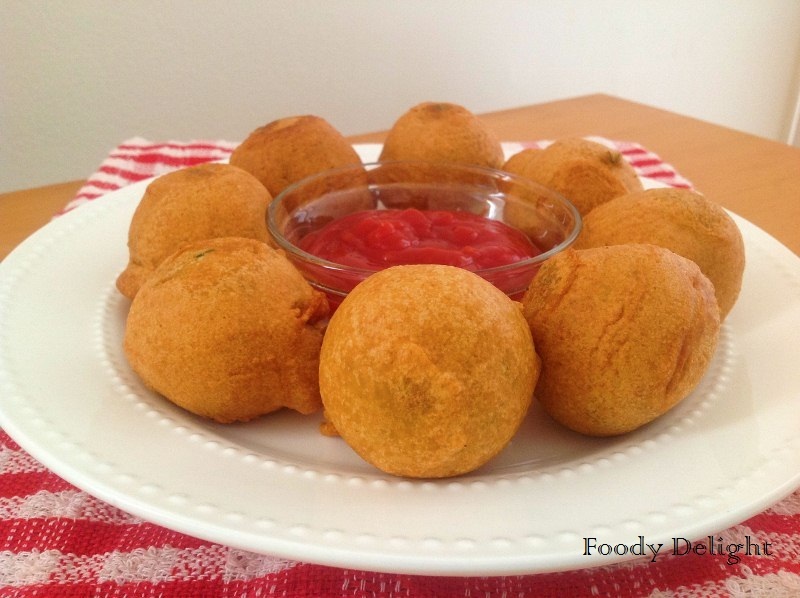 By adding water, prepare a thick dough. Heat oil into one pan. Divide the potato mixture into small portion and make balls out of it. 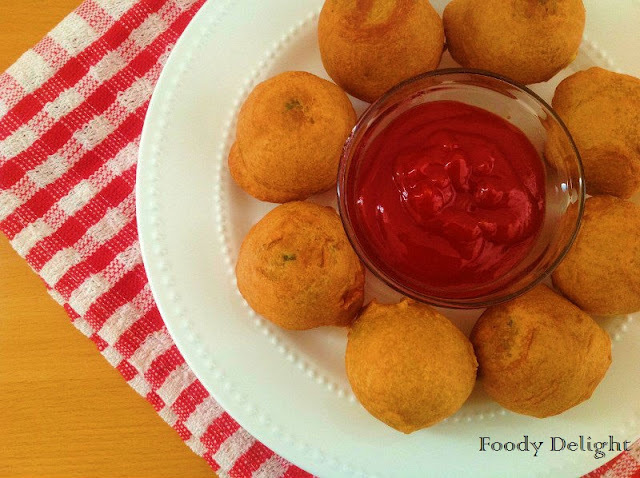 Dip each balls into batter and deep fry them till light golden in colour or till crisp. Wish i get that whole plate rite now,soo tempting. 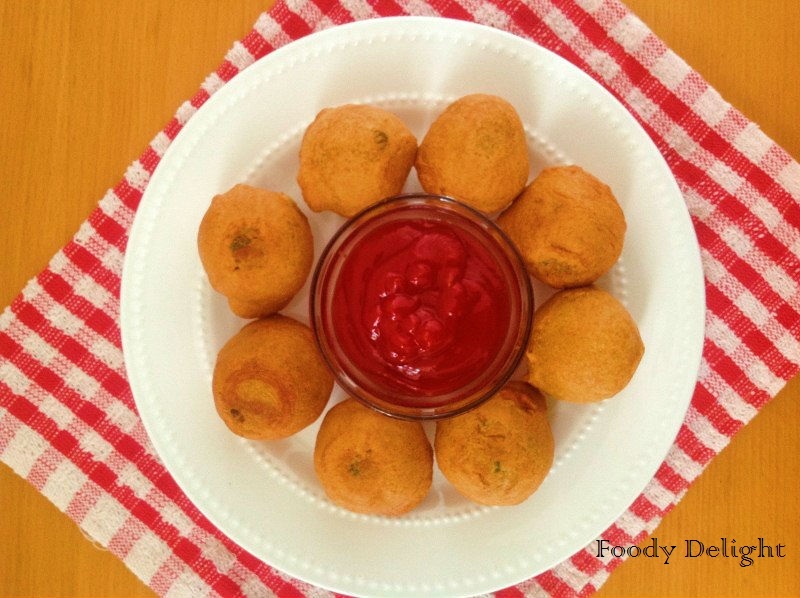 Yummy n tempting Bondas..would love to have them now!